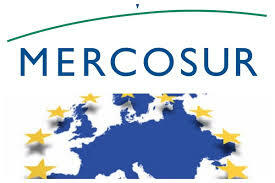 It has come to my attention that it is now acknowledged by the Department of Agriculture and the Government that if the Mercosur trade deal between the EU and the South American countries goes ahead, the cost to Irish and European beef prices will be between 8% and 16% and it cannot be allowed to proceed. At a time when beef farmers are struggling, and especially those in Ireland, this would be the final nail in the coffin for the finished beef sector and the suckler herd here. We have been informed that there is huge discontent at the prospect of this deal around Europe and also in our own Department. But I would ask the question is the EU doing this deal in the interest of other industries at the expense of the agricultural sector? It is time now that the Irish Government stood up and tell the EU that they will not be a party to a deal that is being forced upon us as it will wipe out a sector of our agriculture industry completely. The farming orgnaistions must also be aware of the enormity of this situation and should make their protests known as well. We as a country are heavily reliant on our exports to the UK, Europe, and to many other countries and that must be borne in mind too. No part of Europe including Ireland would be able to compete with beef that would come in under this deal as the South American countries do not have the same high standards that European and Irish producers have to undergo. There are new talks starting on this Mercisur deal soon and it is time for the Taoiseach to tell the EU that we will have no hand act or part in this deal whetever the consequences. Remember that there are over 1 million suckler cows in Ireland that will be wiped out if this goes through and it would be the end of the family farm in the beef sector and it would also leave parts of the country with land abandoned. If this is what the EU is doing on behalf of it’s citizens then it is time that we considered where we are going.